The Iraqi military has “fully liberated” all of Iraq’s territory of “ISIS terrorist gangs” and retaken full control of the Iraqi-Syrian border, it said Saturday in a statement. “Our heroic armed forces have now secured the entire length of the Iraq-Syria border,” Iraqi Prime Minister Haider Al-Abadi said on his Twitter account. “We defeated Daesh (ISIS) through our unity and sacrifice for the nation. Long live Iraq and its people.” SIS, an acronym for Islamic State in Iraq and Syria, rapidly captured large territories in Iraq and Syria and declared a caliphate in 2014. The group controlled more than 34,000 square miles of territory from the Mediterranean coast to south of Baghdad. The campaign to eradicate the Islamic State took more than three years and about 25,000 coalition airstrikes. Iraqi forces have increasingly been pushing ISIS out of the country over the past few months. 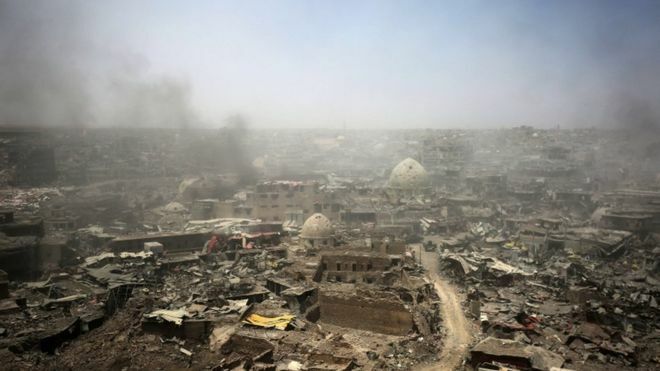 Iraqi forces last month retook the town of Rawa, one of ISIS’s last footholds in the country. At that point, only pockets of ISIS resistance remained. Al-Abadi later in a televised speech lauded the victory.